TP mechanical doesn’t take shortcuts when it comes to training. We go above and beyond in our commitment to developing our workers’ overall skill and expertise. We provide opportunities for our workers to go past expectations and become advanced experts in their fields. We have spent the past year developing a new initiative called “Building TP Talent.” The purpose of this initiative is the continued growth and development of our employees. We are dedicated to spending more time guiding employees, focusing on leadership behaviors and building technical skill talent. Our TP Mechanical team members are enrolled in a diverse group of classes – titles that range from Building and Enhancing Customer Relationships to a class that focuses on Site Safety Awareness and Identifying Workplace Hazards. We encourage our team to pursue certifications, cross training and advancements that make them better at what they do. This year, we even launched an internal mobile app to make it easier for employees to sign up for classes and gain knowledge. This continual growth for our employees is a commitment to them and to you. We know that a better trained workforce means higher quality, greater efficiency and better customer service. 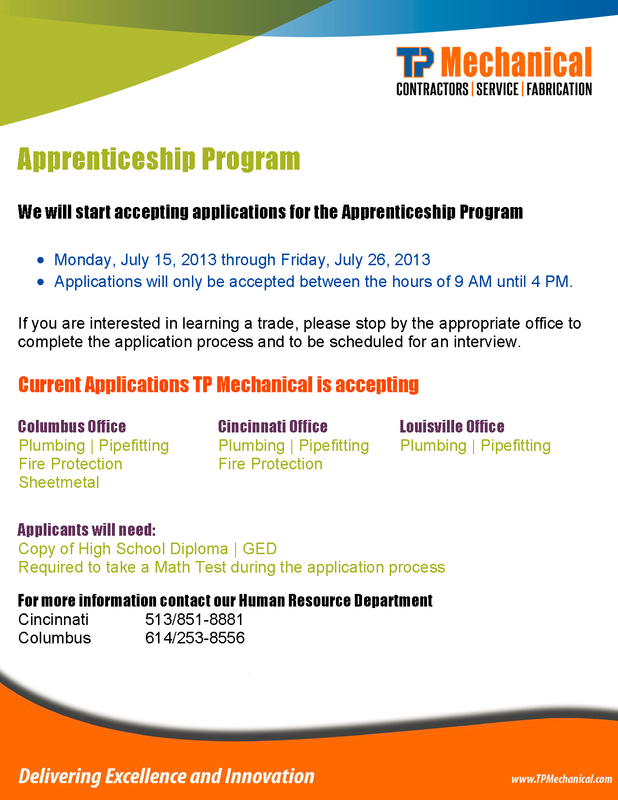 At TP Mechanical, our superior training programs allow us to be dedicated to delivering excellence and innovation. As you go about fulfilling your daily job responsibilities, it can be easy to fall prey to a sense of routine causing you to lose your focus and attention to detail. This can happen to the most experienced employee or the new guy on the block. Our workforce has installed miles of pipe and thousands upon thousands of piping specialties and devices. However, through many of our client’s eyes, our company is only as good as the last project we completed or the current project we are performing for them. Losing that focus and attention to details results in the cost of troubleshooting and rework to correct a problem. This impacts not only the bottom line for the profitability of that project but can also cost us long-term by damaging relationships with owners, end-users, general contractors, architects, engineers, etc. For example, even though it seems like a pretty simple concept, piping specialties and devices get installed backwards more often than most would think. First and foremost, it is important to understand the flow of the system. If unsure of the correct system flow, check the drawings or check with the superintendent. Check valves, strainers, balance valves, control valves, etc. generally have the required flow direction indicated on them. For example, while some strainers and balance valves look the same, the required flow through them is opposite. If the installer is not paying close attention, the valve can get installed in what would appear to be the correct orientation, but once you look at the flow designation on the valve, it clearly indicates the opposite flow direction. The cost of troubleshooting and rework to correct the problem could be easily avoided by simply following the arrows. If direction of flow can’t be found, or is not indicated on the device, you can refer to the submittal for installation details. And again, it never hurts to ask, we are surrounded by a wealth of knowledge and experience in our workforce. Whether it is a simple email, formal letter, or part of a marketing packet, every communication counts. The easiest image booster is to use the spell check to correct spelling and grammar errors before sending out any email or document! If you are unsure of the proper grammar usage, www.grammarbook.com is a good resource. The following are some selections from the common errors section of the writing guidelines document. 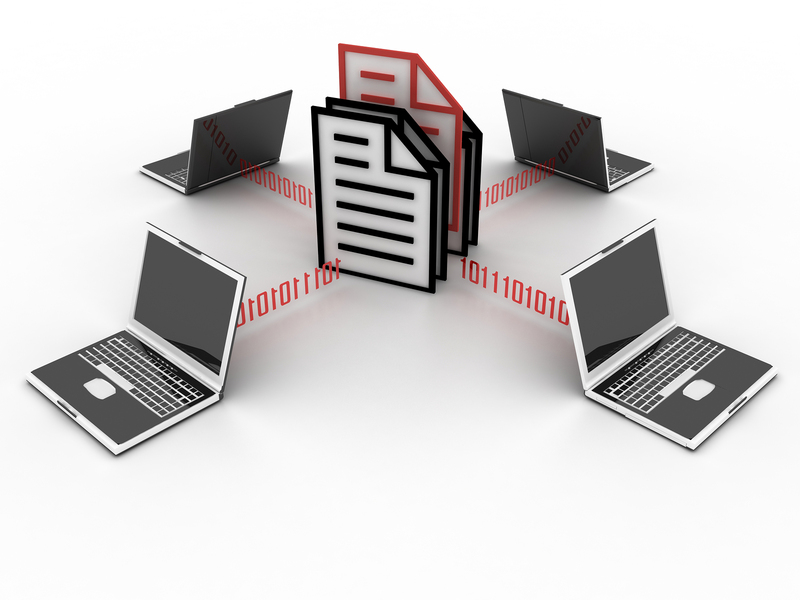 Suggestions or feedback on articles please email tpmcacademy@tpmechanical.com. Employees as a reminder all tips can be found on the Employee page of the website. The Victaulic PT-100A Go/No-Go pipe diameter tape is a tool used for measuring the outside diameter, groove diameter and maximum flare diameter of Victaulic pipe. This tool is crucial to ensure that pipe diameters are within an acceptable tolerance. Installation and pressurization of grooved pipe that does not conform to Victaulic specifications could cause joint failure, resulting in serious personal injury and/or property damage. This tape must be used ONLY to check cut-grooved or roll-grooved pipe to Victaulic original groove specifications (3/4 – 12 inch pipe), Machining for Rubber Lining (MRL) specifications, and Advanced Groove System (AGS) specifications (14 – 24 inch pipe). DO NOT use this tape to check EndSeal “ES” grooves, copper tubing, AWWA cast or ductile iron pipe, or 14 – 24 inch pipe grooved to original groove specifications. The opposite side of the tape, marked in .01 inch/.3mm increments can be used to check Victaulic original groove specifications in 14 – 24 inch pipe sizes. To check the outside, groove or flare diameter (roll-grooved pipe only) of Victaulic pipe, remove all loose dirt, scale, and paint from the pipe, groove and/or gasket sealing surface. Wrap the tape around the pipe and overlap the two ends, make sure the tape is not twisted and is properly seated around the pipe or groove. Firmly pull on each end of the overlapped tape. Determine if the origin arrow is within the appropriate band for the applicable pipe size. 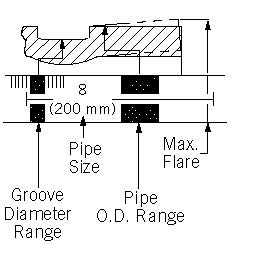 As shown in the diagram below, each pipe size has a separate band for the groove diameter, outside diameter and maximum flare.